I have been in Vienna only three times in my life, each time for a few days, but my visits have left me with an impression of it as an easy city to get to know, not especially mysterious. It has a well defined city center (the Innere Stadt) and nearly all the major attractions and landmarks (other than the large parks and palaces, such as the Prater, Belvedere and Schönbrunn) are in it or just outside it. At least as regards the city as it has developed since the end of the Allied occupation (1955), it doesn’t seem to have the kind of seedy underbelly — a great setting for crime fiction — that such cities as London, Paris, Barcelona or Edinburgh have. The Vienna of The Third Man has given way to one that recently has been consistently ranked among the most livable and most prosperous cities in the world. It is therefore fitting that the series of Vienna-based mystery novels that I have recently been reading has as its locations not dark alleys, slums or Bohemian hangouts, but the best-known tourist attractions of Vienna. The author is Beate Maxian, who besides writing novels is a print, radio and television journalist. The principal crime-solver in the series is, not surprisingly, a young, attractive woman journalist named Sarah Pauli. The first novel in this series (Maxian had written some crime novels before it) is Tödliches (deadly) Rendezvous (2011); in it the mid-twentyish Sarah, who lives with her younger brother Chris (a medical student/bartender/irresistible seducer of women) since their parents died in a car accident, gets a job as a freelance intern at a (fictitious) major newspaper, the Wiener Bote. She is assigned to assist the prestigious muckraking reporter Hilde Jahn, who is murdered in the course of her investigation. Sarah then takes it over and solves the case, not before almost getting murdered as well. When she gets a permanent job at the paper, it is not as an investigative journalist but as a columnist writing about superstitions, folk beliefs and the like, something she is an expert on (besides being slightly superstitious as well). She also develops a crush on the paper’s publisher, the handsome David Gruber, who had been Hilde Jahn’s lover. The central setting here is the Steinhof hospital, with its famous church built by Otto Wagner. All the subsequent novels in the series have the landmark location in the title: Die Tote vom (The Dead Woman of the) Naschmarkt (2012); Tod hinter dem (Death Behind the) Stephansdom (2013); Der Tote vom (The Dead Man of the) Zentralfriedhof (2014); Tod in der (Death in the) Hofburg (2015). The last one mentioned happens to be the first one that I read; I picked it up last April at a bookstore in the Vienna Central Station so that I would have something to read during the four-hour train ride to Prague. By this time Sarah and David are committed lovers (though there is still no mention of marriage), and Chris, instead of bringing a different girl home every night, is in a more-or-less steady relationship with Sarah’s best friend Gabi, a secretary at the paper. It’s in the preceding one that we learn, from the point of view of one of the criminals (who means to possess her before killing her), that Sarah is quite a desirable woman, with a lovely face framed by dark hair and her usual outfit of jeans and T-shirt covering a slim, shapely body. For she is quite unassuming, using a minimum of makeup and detesting high heels, and during the first stages of her infatuation with David she is unsure of her attractiveness. I am currently waiting for the following volume, Mord (Murder) in Schönbrunn (2016). The latest one, Die Prater-Morde, has just come out, and I am looking forward to it as well. For I have become addicted to the doings of Sarah Pauli and her companions — not to mention the variegated local color of Vienna — as I am to those of Peter Robinson’s Alan Banks and his Yorkshire, and Michael Connelly’s Harry Bosch and his Los Angeles. Unfortunately — not for me but for others — the books are available only in the original German (in a Viennese variant). As I have been reading them I have found myself half-consciously translating them into English in my head. I have even flirted with the idea of writing Frau Maxian with a proposal to actually do so. I have done a bit of translating in my life, but I don’t think I have the time or stamina to do any more of it. But to any German-readers out there who don’t yet know her work: Gutes Lesen! To continue where I left off: Mapsy’s reading of northern Italian place-names and street names, beginning at Malpensa airport, was unremarkable until we got to Bergamo, which I heard as “Bergamo”. At first I thought of this as confirmation of the “misrule” that I recently wrote about, namely that the tendency of English-speakers is to stress unfamiliar vowel-final words on the penultimate syllable. But on second thought it didn’t seem right: I don’t think most Americans would say “Bergamo”. If anything, the opposite might be true, as in the case of Guernica (the Spanish spelling of the Basque place-name Gernika), which I mostly hear as Gernika. Most English-speakers I hear stress such names as Attica, Ankara, Serpico correctly, while angina (traditionally /ænˈʤaɪnə/) is often heard as /’ænʤənə/. The extended misrule, then, seems to be that vowel-final words with a single consonant between the final and penultimate vowels, but a doubled one or a cluster between the penultimate and antepenultimate, are more likely to have the stress on the antepenultimate. Mapsy’s Bergamo, then, would seem to be an anomaly, as is the usual American (but not British) pronunciation of paprika, and the timpano that was heard in the move Big Night. But then the usual pronunciation of Capri as Capri is another anomaly. I spent the month of April traveling in Europe with my wife, as usual with the help of Google Maps. I was pleased to discover that GM now locates Prague in Czechia, something that I have long been advocating as the informal name of the country officially called the Czech Republic, the same as Slovakia instead of Slovak Republic, France instead of French Republic, and so on. I was also pleased to find out that, unlike two years ago, GM now knows that the RER B line in Paris runs not only south but also north, and is the direct way to get from Gare du Nord to Charles de Gaulle Airport. GM doesn’t seem to know the buses in Paris yet, but give it time. Everywhere else, it has them down, and the vaporetti in Venice as well. When it comes to giving time estimates, though, GM is hampered by its seemingly two-dimensional vision of the world. That is, it disregards the fact that in navigating through multimodal stations (or even entering or leaving simple ones) one often has to move vertically by several levels on stairs, escalators and elevators, all of which take time which GM does not calculate. The same applies, in GM’s time estimates for walking, to waiting at stoplights. I have usually found driving times, on the other hand, to be surprisingly accurate. But my main topic is the spoken turn-by-turn navigation that I have been increasingly relying on for driving and walking in unfamiliar locations. I call the disembodied female voice GPSy (pronounced like gypsy) or Mapsy. In using GPSy locally in the Bay Area, my wife and I have sometimes at chuckled at some of her quirky pronunciations, such as, when referring to San Rafael, saying the second part as a three-syllable word (like the name Raphael) rather than the two-syllable version (/rəˈfɛl/) that is common here. But, on a trip to Quebec last year, I discovered a lot more. The revelation came when a street in Quebec City called 1re rue (Première rue) was called “one-ree roo”. It became obvious that Mapsy reads foreign names — by design, I am sure — as an American unfamiliar with the local language would read them. I understand from Wikipedia that Mapsy’s voice is electronic. How it is generated — let alone how it’s programmed to read place-names, especially foreign ones — is a mystery to me. Maybe Mark Liberman knows. But I intend to use Mapsy’s pronunciation to explore more ramifications of what I have called the “misrule” of stress. In my next post, probably. My wife and I have just come back from a ten-day trip to the province of Quebec, a place that we had both meant to visit for many years and had not managed to do until now. We were both enthralled by the beauty of the fall foliage and the charm of the historic old cities — old Montreal, Trois-Rivières and especially Quebec City — but for me there was another point of interest: to explore the bilingualism of Montreal. I am fascinated by by bilingual societies. Like Tolstoy’s unhappy families, every bilingual society is bilingual in its own way. I come from a bilingual family. My parents, Polish Jews born respectively in 1905 and 1913, both had Yiddish as their native language. But by time my mother started school Poland had regained its independence (in 1918), so that all of her schooling was in Polish, which soon became her primary language, while Yiddish remained that of my father. In their conversations with each other, as far back as I remember, he spoke in Yiddish and she spoke in Polish. To me, however, they spoke only in Polish, and I did not actually speak Yiddish fluently until I was ten or so, in different circumstances. Consequently, I am not a native bilingual, as are some of my Barcelona friends who cannot recall a time when they didn’t speak both Catalan and Spanish. That working knowledge can be quite variable. Except in Westmount and at an Italian restaurant near the airport in Dorval, nearly all the people we dealt with were francophones (some of whom may have been French), and their English, on the whole, was not very different from what one hears from younger people working in tourist-oriented occupations around the world. I found this surprising, since I thought that these people were far more exposed to English — from their anglophone fellow citizens and from English-language television and radio — than their counterparts elsewhere. Another difference from Brussels is the near-absence of bilingual signage. Even streets whose names are untranslated English (such as University, McGill College, or City Councillors) are prefixed rue, with no “street” (see here for a Brussels example). Largely anglophone Westmount (now a separate city) gets away with neither rue nor street. All signage on freeways throughout Quebec, even warning signs, is in French only — I wonder how English Canadians driving, say, from Nova Scotia to Ontario, through their own country feel about that. Station announcements in the Montreal metro are in French only. 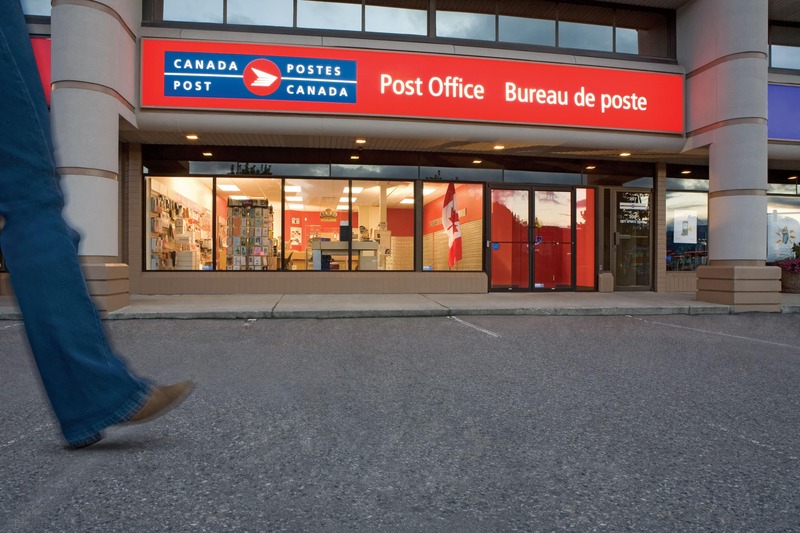 Only federal institutions such as post offices carry bilingual signs consistently. Once outside Montreal, even in a nearby suburb such as Repentigny, one might as well be in provincial France. Except in tourist-heavy old Quebec and nearby Ile d’Orléans, bilingual menus are less common than in Paris, and seem to be found only in chain restaurants. I have to confess that I have written two novels, books 2 and 3 of my Wilner Trilogy, whose respective protagonists are Montreal native bilinguals (they are brother and sister), and whose action takes place to a significant degree in Montreal. I wrote these books without ever having been in Quebec, that is, in direct defiance of the “write about what you know” dictum; what details I needed I got from the Web. My visit satisfied me that I made no big blunders. But much of the action takes place in what was then the town of Saint-Laurent (now it’s a Montreal borough), and this is an area that I didn’t have time to visit during this trip. I’ll have to take another one.